Images courtesy of Kunsthaus Glarus. Photos by Dominik Hodel. Klöntal Valley—located above Glarus—has been a recurrent focus of art since the mid- seventeenth century: far removed from mass tourism, the valley and its pristine landscape nurture visions of an ideal utopia even today. It has always been a fascination of artists. 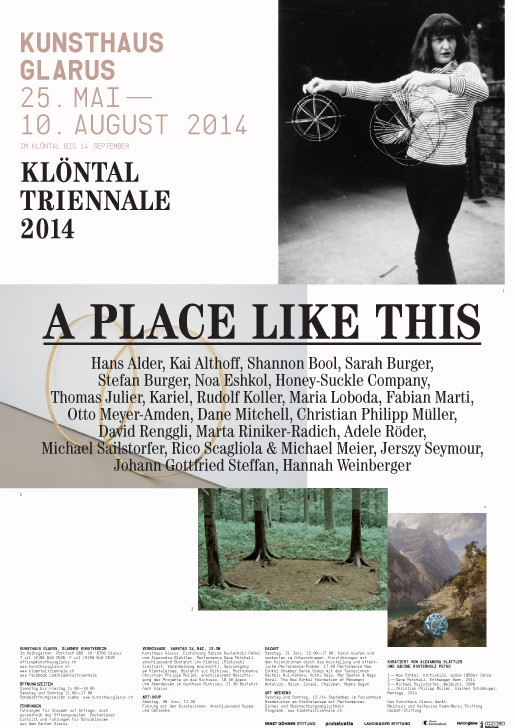 A PLACE LIKE THIS takes up this theme, presenting twenty-three international positions at selected locations in Klöntal Valley and at Kunsthaus Glarus. A majority of the new works created specifically for this location directly reference Klöntal Valley’s rich artistic tradition. 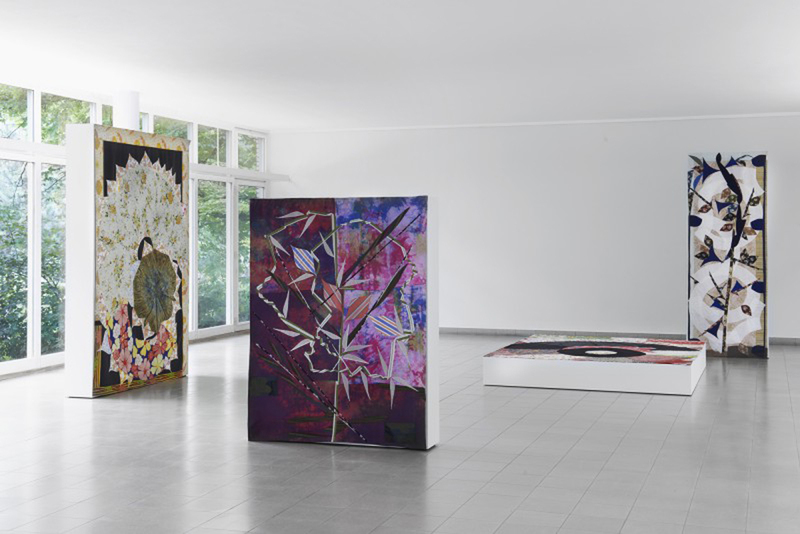 The contemporary artists have been invited to address the location and its heritage, the landscape and nature, activating these concerns from a present-day perspective and questioning their historical topoi. In so doing they have much to draw from: the Zurich-based painter Conrad Meyer and his Dutch colleague Jan Hackaert documented the valley, the mountains, and the lake as early as 1655, and, in the eighteenth century, Klöntal Valley’s seclusion made it a well-kept secret. It was also a stop for English painters on their grand tours through the Swiss Alps, and by the time European landscape painting and the Swiss Alp-theme came to full fruition in the mid-nineteenth century, Klöntal Valley had become a popular meeting place for artists and those connected to nature including Rudolf Koller or Johann Gottfried Steffan, who formed an artists’ colony in a picturesque maple grove in Richisau in 1856. While in Klöntal Valley in 1881, Gottfried Keller mused about “the true, ideal, real landscape or the real, ideal landscape”—real locations and ideal utopias were already in competition even then. To date this idea has never faltered. Klöntal Valley has retained a slice of utopia, and has remained a place of retreat and concentration, where one can escape the hustle and bustle of city life and dedicate oneself to an alternative way of life in tranquil seclusion and in harmony with nature. In the past twenty years in Klöntal Valley, projects have been realized by Carl Andre, Balthasar Burkhard, Richard Long, Roman Signer, Fischli/Weiss, Christoph Büchel, and many others. Given this illustrious past, the urge arose to activate the valley with a first-ever curated summertime exhibition in order to bring this fruitful, artistic history up to date. All of the invited artists address in various ways the themes and motifs that formed an artistic tradition in Klöntal Valley over preceding decades and centuries, interleaving these with current perspectives. But it is the engagement with far-flung locations, nature, and the communal as alternative or complement to daily urban life—or even to the frenzied art world—that is once again highly relevant today. This is the starting point for artistic gestures and commentaries, and even today there are multiple attempts—tested out in artists’ colonies of past centuries, for example, in Barbizon, Worpswede, or at Monte Verità—to escape control, constraints, and urban unrest. 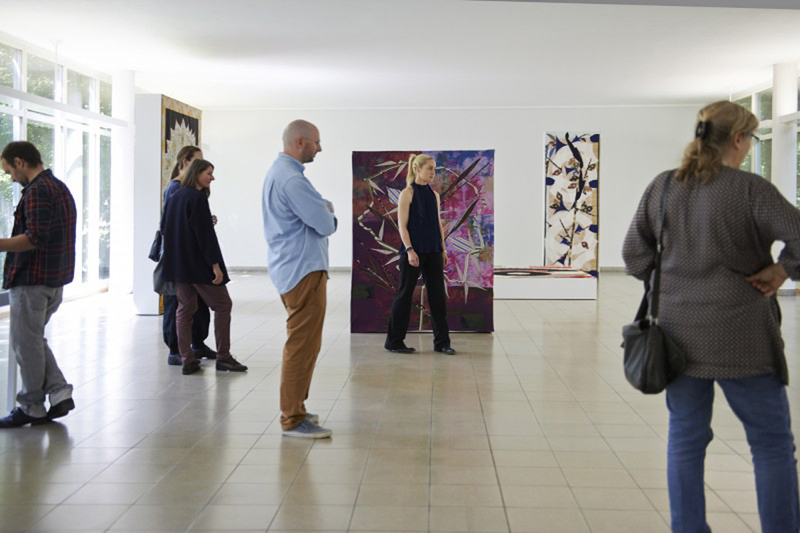 Thus, in the works represented in the Klöntal Triennale 2014, one also comes across various pieces dealing with themes of withdrawal from society or even the art world, as well as those that take up and advance the concept of artists’ communities. Also, the erstwhile concept of the Gesamtkunstwerk (the total work of art) is adapted to the present day: themes like body culture, dance, and clothing are represented here as well as the love of nature, alternative lifestyles, esotericism, and knowledge of herbs. Works by Hans Alder, Johann Gottfried Steffan, Rudolf Koller, and Otto Meyer-Amden complement the show at Kunsthaus Glarus with prominent historical positions, linking it to the artistic tradition of Klöntal Valley as well as nearby Amden.